My predecessor, Florida Rep. Debbie Wasserman Schultz, had not been the most active chair in fundraising at a time when President Barack Obama’s neglect had left the party in significant debt...Debbie was not a good manager. She hadn’t been very interested in controlling the party—she let Clinton’s headquarters in Brooklyn do as it desired so she didn’t have to inform the party officers how bad the situation was. The Saturday morning after the convention in July, I called Gary Gensler, the chief financial officer of Hillary’s campaign. He wasted no words. He told me the Democratic Party was broke and $2 million in debt. “What?” I screamed. “I am an officer of the party and they’ve been telling us everything is fine and they were raising money with no problems.” That wasn’t true, he said. Officials from Hillary’s campaign had taken a look at the DNC’s books. Obama left the party $24 million in debt—$15 million in bank debt and more than $8 million owed to vendors after the 2012 campaign and had been paying that off very slowly. Obama’s campaign was not scheduled to pay it off until 2016...If I didn’t know about this, I assumed that none of the other officers knew about it, either. That was just Debbie’s way. In my experience she didn’t come to the officers of the DNC for advice and counsel. She seemed to make decisions on her own and let us know at the last minute what she had decided, as she had done when she told us about the hacking only minutes before the Washington Post broke the news. I would get to the bottom of whether Hillary Clinton’s team had rigged the nomination process, as a cache of emails stolen by Russian hackers and posted online had suggested. I’d had my suspicions from the moment I walked in the door of the DNC a month or so earlier, based on the leaked emails. But who knew if some of them might have been forged? I needed to have solid proof, and so did Bernie. So I followed the money...By September 7...I had found my proof and it broke my heart...The [Clinton] campaign had the DNC on life support, giving it money every month to meet its basic expenses, while the campaign was using the party as a fund-raising clearing house. Under FEC law, an individual can contribute a maximum of $2,700 directly to a presidential campaign. But the limits are much higher for contributions to state parties and a party’s national committee. Individuals who had maxed out their $2,700 contribution limit to the campaign could write an additional check for $353,400 to the Hillary Victory Fund—that figure represented $10,000 to each of the thirty-two states’ parties who were part of the Victory Fund agreement—$320,000—and $33,400 to the DNC. The money would be deposited in the states first, and transferred to the DNC shortly after that. Money in the battleground states usually stayed in that state, but all the other states funneled that money directly to the DNC, which quickly transferred the money to Brooklyn. “Wait,” I said. “That victory fund was supposed to be for whoever was the nominee, and the state party races. You’re telling me that Hillary has been controlling it since before she got the nomination?” Gary said the campaign had to do it or the party would collapse. The agreement—signed by Amy Dacey, the former CEO of the DNC, and Robby Mook with a copy to Marc Elias—specified that in exchange for raising money and investing in the DNC, Hillary would control the party’s finances, strategy, and all the money raised. Her campaign had the right of refusal of who would be the party communications director, and it would make final decisions on all the other staff. The DNC also was required to consult with the campaign about all other staffing, budgeting, data, analytics, and mailings. I had been wondering why it was that I couldn’t write a press release without passing it by Brooklyn. Well, here was the answer...When the party chooses the nominee, the custom is that the candidate’s team starts to exercise more control over the party...This victory fund agreement, however, had been signed in August 2015, just four months after Hillary announced her candidacy and nearly a year before she officially had the nomination. I had to keep my promise to Bernie. I was in agony as I dialed him. Keeping this secret was against everything that I stood for, all that I valued as a woman and as a public servant. “Hello, senator. I’ve completed my review of the DNC and I did find the cancer,” I said. “But I will not kill the patient.”...I told Bernie I had found Hillary’s Joint Fundraising Agreement. I explained that the cancer was that she had exerted this control of the party long before she became its nominee. Had I known this, I never would have accepted the interim chair position, but here we were with only weeks before the election. Bernie took this stoically. He did not yell or express outrage. Instead he asked me what I thought Hillary’s chances were. The polls were unanimous in her winning but what, he wanted to know, was my own assessment? I had to be frank with him. I did not trust the polls, I said. I told him I had visited states around the country and I found a lack of enthusiasm for her everywhere. I was concerned about the Obama coalition and about millennials...When I hung up the call to Bernie, I started to cry, not out of guilt, but out of anger. We would go forward. We had to. Deep rifts and dysfunctionality exist within the Republican Party, but these revelations should send shockwaves through the Democratic Left. Bernie Sanders and Donald Trump repeatedly suggested that Hillary Clinton's party had secretly manipulated the rules of the game to make sure that anyone who challenged her would be crushed. They were right. And the millions of people who voted for -- and donated to Bernie Sanders -- were betrayed and lied to. 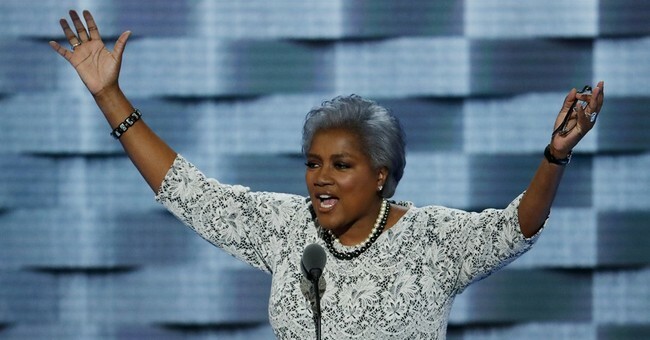 I'll leave you with this: Brazile casts herself as a truth-finding pillar of integrity in this account, but beyond sitting on this information for more than a year, didn't she also play an active role in pro-Hillary rigging?